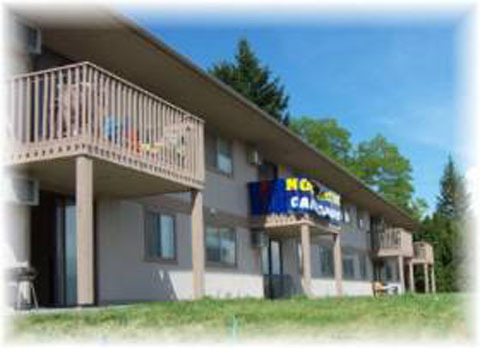 Two-bedroom family apartments for 2-5 person households or an individual with a proven medical need for a second bedroom. All units offer HUD Project-based Section 8 subsidy so your rent will be based on 30% of your combined gross household income. Security deposit based on income. No screening fee. No pets. 1 ADA unit. 2-BR, 1-bath, HUD-subsidized units for households of 2-5 persons, or a disabled individual with a provable medical need for 2 bedrooms. w/s/g included, baseboard heat, A/C, decks or patios with fenced yards, on-site coin-op laundry, off-street parking, and fenced playground.